Art Books Sale through July 11th! Art Books sale! June 11th through July 11th! All art books—including architecture, photography, design, fashion, antiques, and books about the business and making of art— 50% off! All specially marked museum collection catalogs AND specially marked textbooks are only $3! 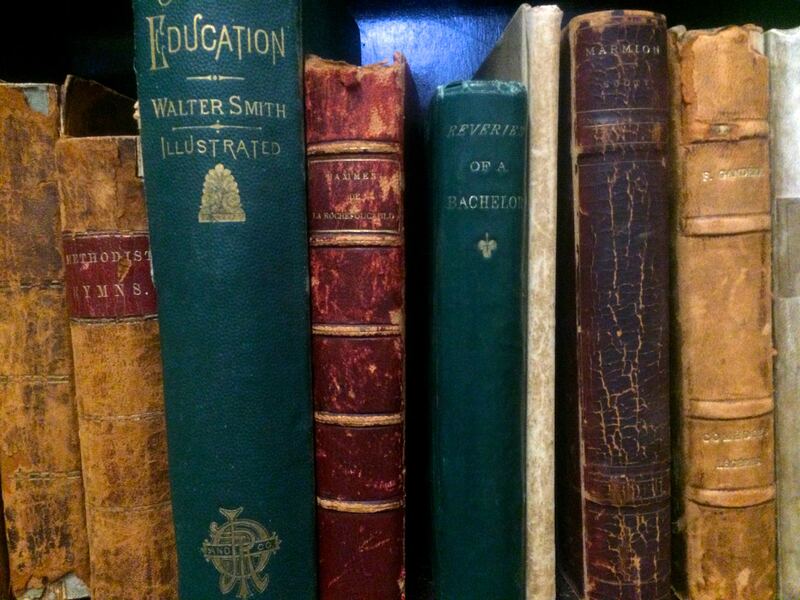 We have an amazing array of art books, on all topics, ancient to contemporary, all mediums, from across the world. If you are building an art library, looking for specific works on artists, or just looking to learn about art, this SALE IS NOT TO BE MISSED! Please remember that all book sales benefit scholarships at Bryn Mawr College. May Day at Bryn Mawr is a grand holiday, beginning with a wake-up song, “Lasses, lasses, stop your dreaming, We have come to waken you” sung at dawn by sophomores to seniors. The celebration continues with strawberries for breakfast, and processions to the May Poles, where the dancers are accompanied by more song. 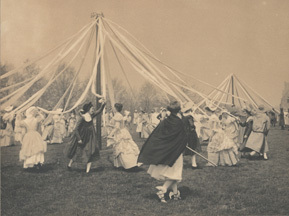 May Day has been celebrated at Bryn Mawr for more than 100 years. This photo is from 1900! We will celebrate more modestly at the Book Store, with lemonade, cookies, and fabulous books, with special prices on gardening and dance. Please come! Please buy books! And remember, the Bryn Mawr Book Store is a not-for-profit business, run by volunteers, whose proceeds go entirely to scholarships. Our newly-refreshed Bryn Mawr Book Store, at 373 Huron Avenue, Cambridge, opens for business today — Thursday, April 23. Please come by and see how we’ve made the store an even better place to browse our impressive selection of used books. The store hours are now Thursdays, Fridays and Saturdays from 12 to 5. Our store is now staffed entirely with volunteers and all profits go toward regional scholarships to Bryn Mawr College. Since our grand re-opening is on Shakespeare’s birthday, we are celebrating with a special offer: Anyone who buys more than $10.00 worth of books may take a paperback play of the Bard’s—while they last!